I’ve received a number of requests lately for fall/winter wedding dress ideas, so today I thought I’d share some of my favorite cocktail dresses and formal gown looks with you! While not all weddings are the same, I generally prefer to pick more modest silhouettes for weddings (especially those held in a church). If you opt for something strapless, I would recommend finding a pashmina or a fur (or faux) shawl to cover your shoulders in church. If you want to show off your legs, try to avoid something that’s also showy up top (and vice versa). Avoid anything white, silver or pale grey – if you have to question whether it’s an appropriate color, it’s probably not. 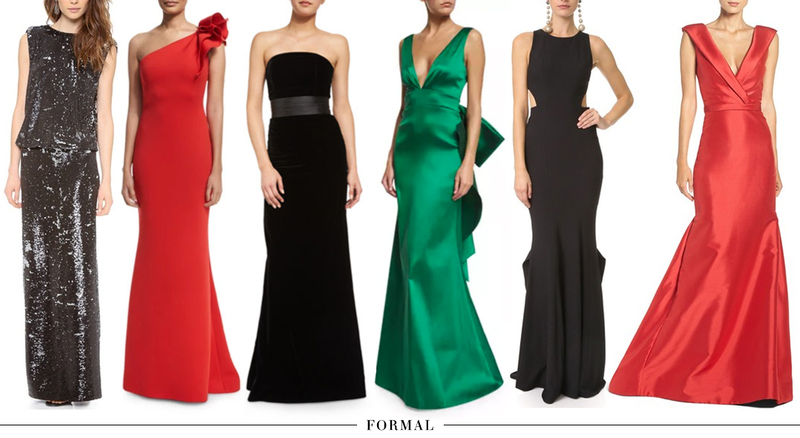 In addition to the looks above, I’ve rounded up even more gorgeous gowns and dresses for you to discover below. So obsessed with this strapless sequin Milly dress! It’s not often you come across sequins looking this glamorous. 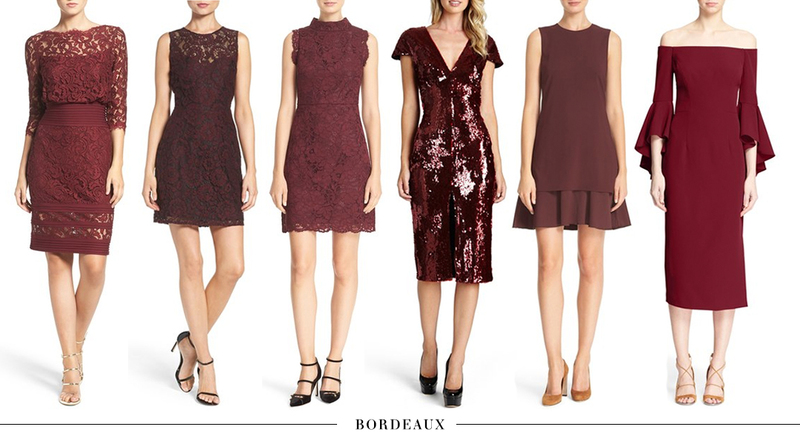 Gorgeous option for NYE too! This illusion + lace neckline on this BCBGMAXAZRIA dress is stunning and so romantic! That paired with the classic sheath silhouette make it ideal for any wedding this season. If you’re on the hunt for a unique color option, this Lela Rose dress is the most perfect olive green. Takes this simple silhouette to knockout status! If you love the look of DVF’s signature lace cocktail dress, but don’t want to fork up $400, try this number. It looks nearly identical and comes in tons of colors! The flattering cut + contrasting lace look of this dress is totally up my alley. Clearly lace is what I’m craving, because this velvet + lace combo is also giving me all the feels. Amazing! If you ever have any specific questions regarding attire for weddings, events, work, etc, please email me! Happy to help! Loving everything! 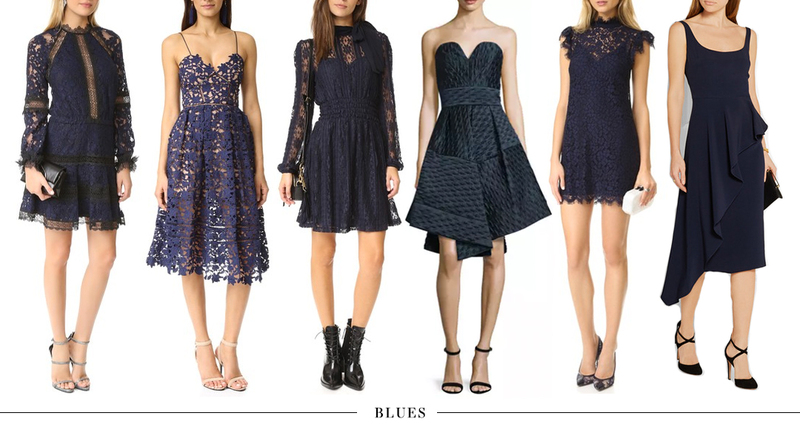 Especially that navy Self Portrait dress- swoon! Really well done article, Merritt!!! Beautiful outfit! Love the color.